The Build-A-Brand team is excited to welcome aboard Sands Chevrolet – Surprise to our growing clientele family. Uniting their sales professionals with the Build-A-Brand app suite will only continue to enhance the Sands Chevrolet – Surprise customer service by providing various forms of communication and connections between sales people and customers. 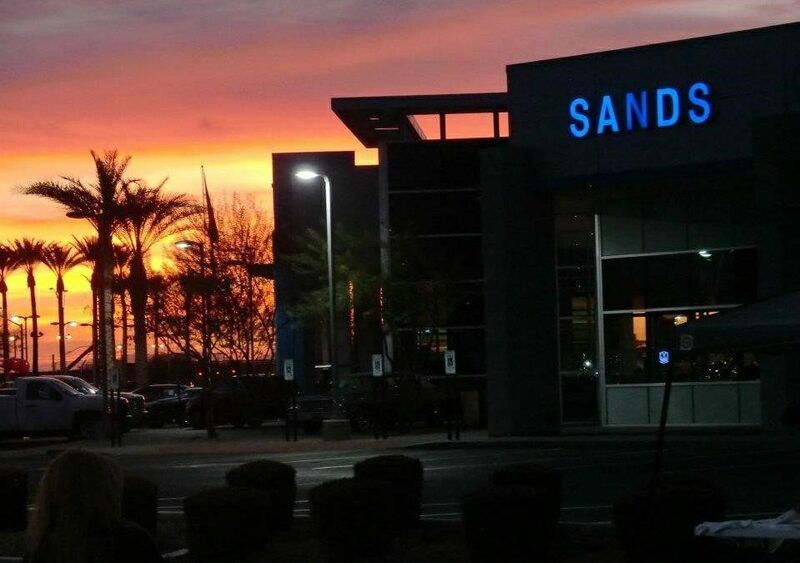 Sands Chevrolet – Surprise has been providing 80 years of the utmost customer service for Phoenix area drivers who’ve sought after a new Chevrolet or pre-owned vehicle. This is not an easy task, as other dealerships would create competition especially through eight decades. However, Sands Chevrolet – Surprise was undeterred by the competition that came and went, and went they did, as Sands is the longest lasting Chevrolet dealership in the valley. This is no accident, Sands remained focused on their customers and in maintaining unbeatable customer service and their focus is what keeps them successful today. Their love for their fellow neighbor is not just on the sales room floor, it too, extends to their service department and can be found through their financing options. Sands Chevrolet – Surprise is committed to their community, by partaking in local events and organizations annually to help support those around them, as they believe in making the community a great place to reside. So it is no surprise that even after 80 years, they are still just as determined to connecting with their customers as they were on day one. This means, having the willingness and mind-set to change with the times and to find and adapt a company culture that is well suited for their customers. 80 years later, Sands Chevrolet – Surprise is now working with Build-A-Brand to continue ensuring that their customers are always top-of-mind and we could not be happier to supply their demand. A very important message can be learned from this particular dealership, and that is, customer service never goes out of style!